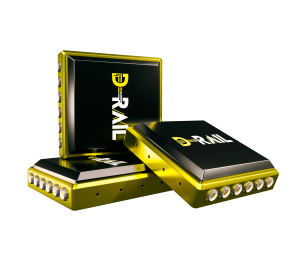 D-Rail is an uprising star on the railway infrastructure market with their innovative and intelligent monitoring system. They have recently initiated a collaboration with IBM. – The collaboration with a big actor such as IBM enables us to revolutionize a conservative industry by simply digitizing it, says Christoffer Hamin, founder and CEO at D-Rail. With the IBM AI platform for business, D-Rail will develop ground-breaking AI solutions for the global railway market, to make railways around the world safer. – The partnership began in late 2018. We see IBM as the obvious partner for running cloud services, analysis, security and managing large amounts of data, since they have great knowledge and unequaled experience of the industry. Thanks to IBM and their technical solutions we see the possibility for a small startup company from Sweden to deliver a global scalable service, says Christoffer Hamin. D-Rail will launch their service on February 12th 2019 and will be ready to build a global service from day one. – By working with IBM, we can find patterns and answers in the data that would require tremendous resources with incredibly good knowledge of railways, databases and big data analysis if it were done by people alone, this can now be performed on all data sources continuously. It will enable better predictions regarding when and what maintenance will be needed, and hopefully answer what has historically been the best measure for this type of maintenance on the specific issue statistically.